Like the rest of the planet, Malaysian consumers are spending more time online and this has seen a dramatic fall in the circulation of newspapers. The New Straits Times, the oldest newspaper in Malaysia and once the pride of the industry has been through at least two ‘rebrands’ in the last 10 years but this has failed to stop circulation plummet to 55,000 copies a day in 2015. Recent reports have put the circulation as low as 35,000 copies a day towards the end of 2016. It’s hard to find current figures which suggests things are not going well. 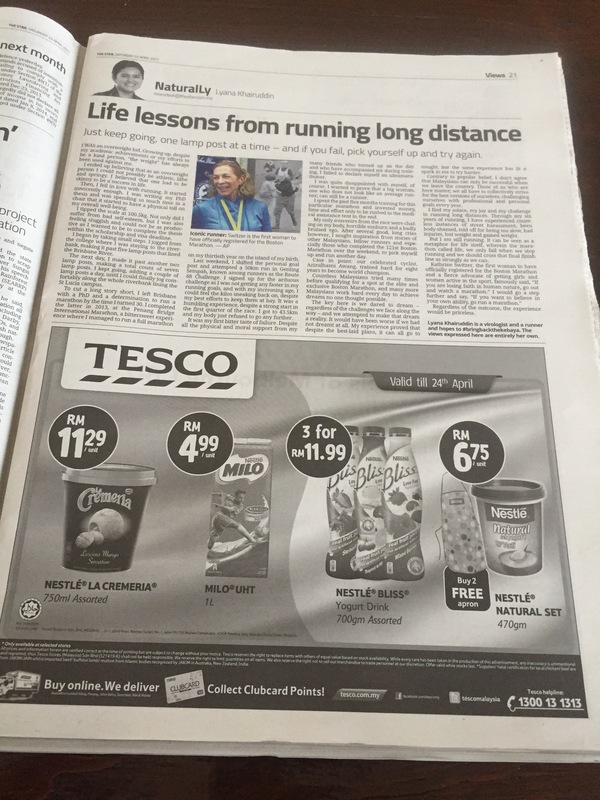 Back in January 2017 we encountered what may be a global first when we opened a copy of the New Straits Times, and with the exception of a 1/8th of a page ad, didn’t see any significant paid for advertising! Meanwhile the Star newspaper isn’t fairing quite so badly with a circulation around the 250,000 mark. 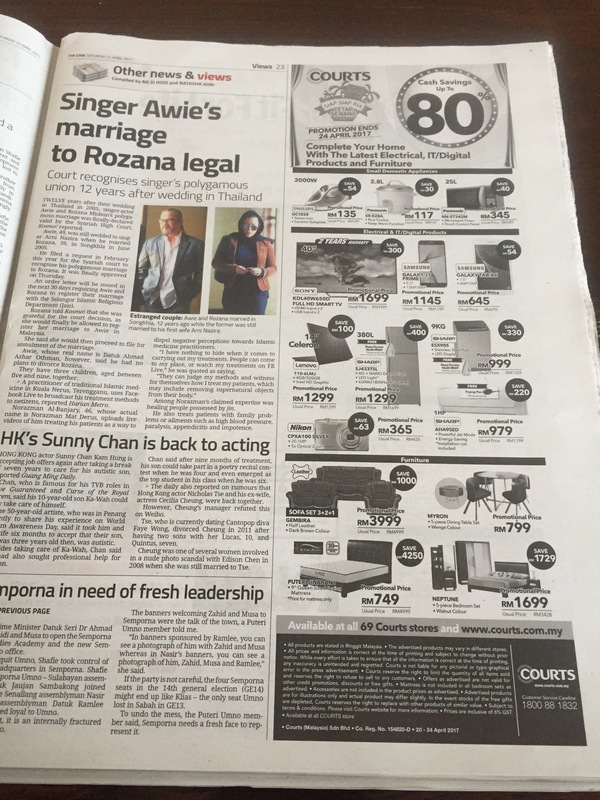 In the 22nd April 2017 edition there were a number of full page ads and even a double page spread. 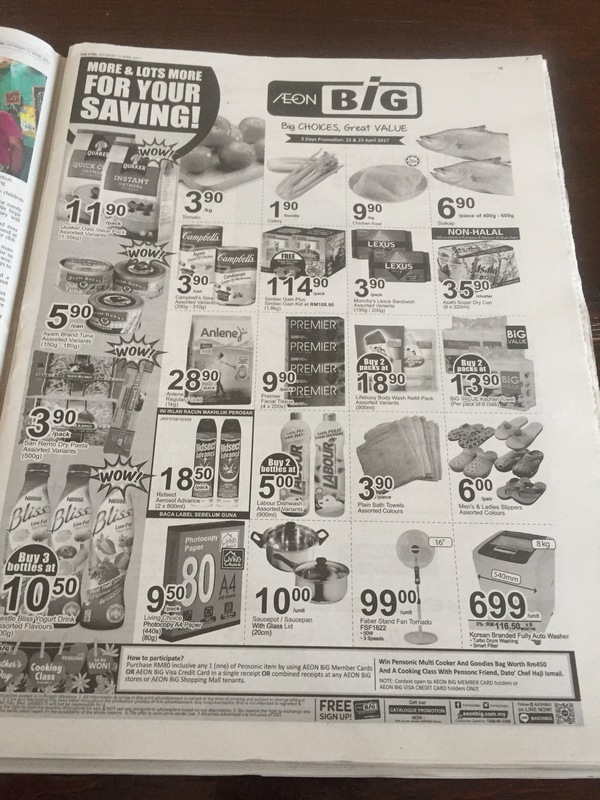 These ads were selling everything from grapes to fridges to laptops and detergents and not forgetting the out of place table in the Tesco ad. Selling grapes, laptops, fridges and a table on a Saturday. 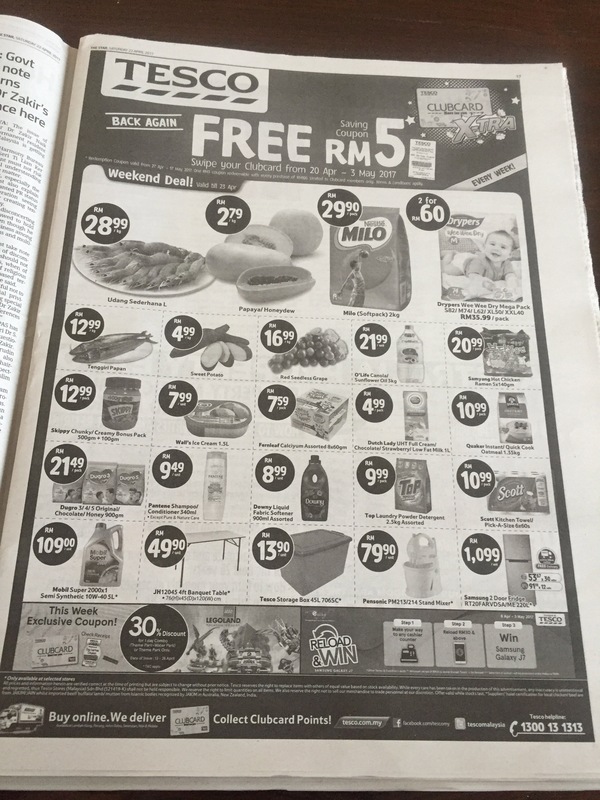 I presume these hypermarkets and discount stores are using these low end, low value products to lure housewives to stores in the hope they will buy higher margin goods once there. Nothing wrong with that and they’ve been a feature of The Star on Saturday for many years. 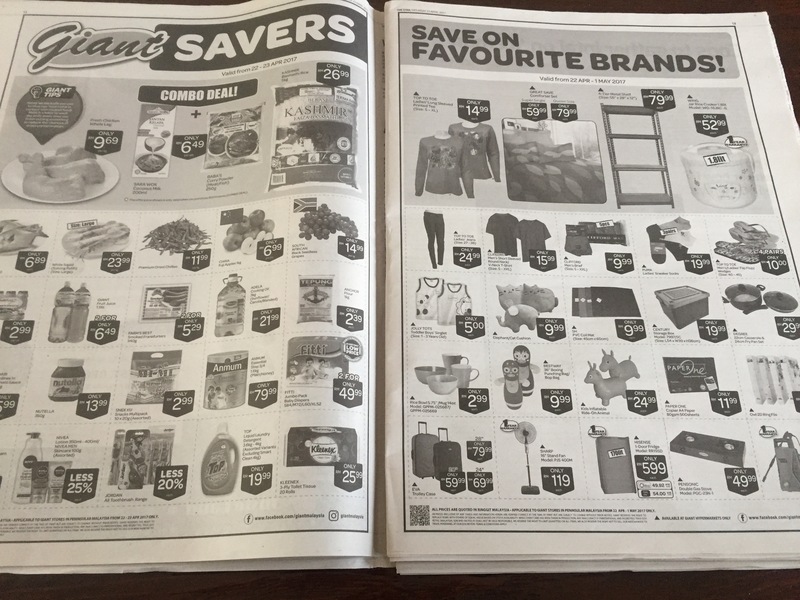 But if that’s the case, and the readership of The Star on a Saturday largely consists of housewives getting ready to do the weekly shop, why is there an ad for the BMW 7 series in the middle of all these ‘cheap as chips’ ads? Is this the new housewives choice in Malaysia? Recession, what recession? The BMW 7 series starts at RM600,000 (US$136,000) while the top of the line model is a few pennies under RM800,000 (US$182,000). Not really the housewife segment. Either the hypermarkets are in the wrong place or BMW is. What do you think? Some 10 years ago, I was pitching an ad campaign to a lingerie shop. They told me that lingerie sells very badly in South East Asia. Why you ask? Because nobody can see the item, therefore the cloth has no value. The question becomes, what people value more: having a status symbol or heathing healthier? I would argue that people rather skimp on good food and consume MSG laden stuff for small money, but will do anything for car, condo and cartier watch. As for the placement of the ad, I would do the exact same. Simply because The Star still reaches the most people. It is read by many wealthier people as well. And remember, it is the family that buys the BMW and the helper that goes grocery shopping. The ones in for the Beamer are likely to have visual fatigue towards the produce from Cameron. Thanks Stefan for taking the time to comment. Yes the Star does reach the most people but if the BMW branding/marketing/sales teams are working properly, it doesn’t need to ‘reach the most people’ because the people who can afford the 7 series will already know about it. It’s not selling grapes, it’s selling a car that costs the same as a house. 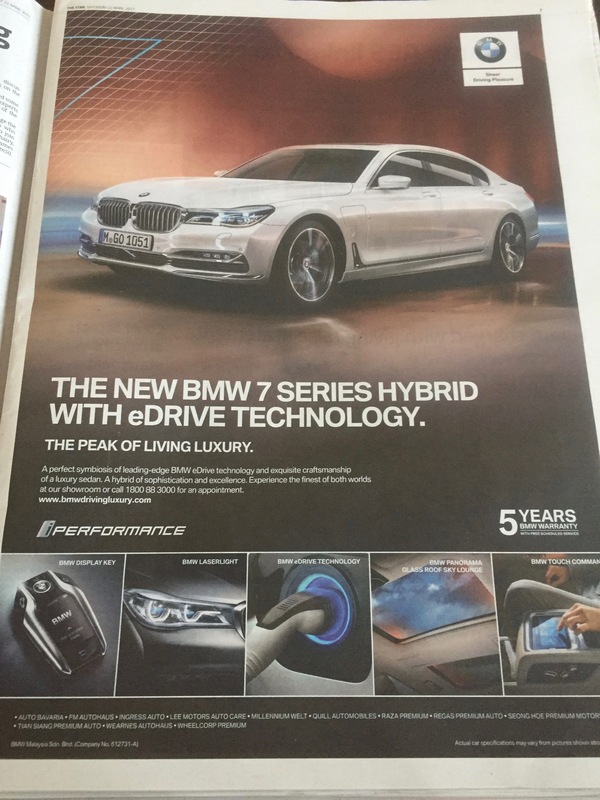 How many 7 series do they sell in Malaysia? 50? 100? 500? Not many more. And I bet many of those are fleet sales to royalty/government and existing customers and they’d probably prefer to keep the cost private. As for new sales, how many people switch from an S class to a 7 series? I’d be reaching out privately to target markets selling such a luxury car. It’s a total waste of money trying to sell a luxury car through newspaper advertising. Especially one that is long overdue a face lift even though they keep telling us its new! I’m sure the ad was placed by a media agency. And I’m sure they bought a lot of space at a large discount. And then they had to fill the slots they’d bought. And BMW said yes. I quite familiar with the process which is obviously flawed. 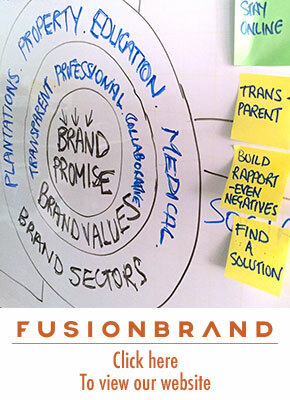 If the client doesn’t complain who can blame the media agency? So we just continue as usual. 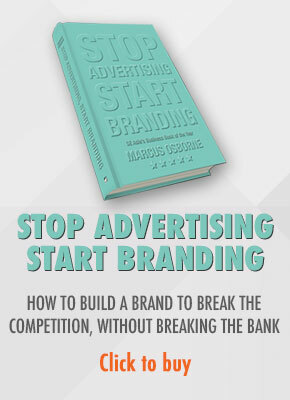 And that sir is yet another example of how broken is the concept of advertising.